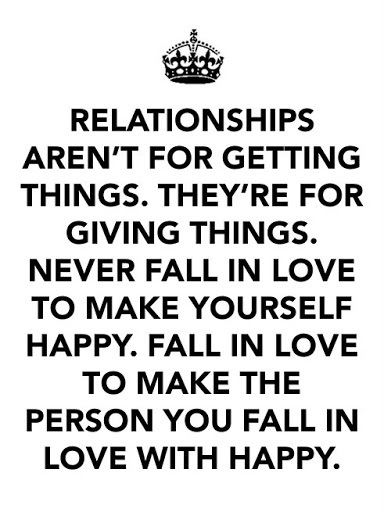 For those who know me really well, love relationships are not my strong point. I like them and would love to be in a really great one, but, I'm kinda so so about them (we'll leave that for another day). With me being all 'not so very interested' right now, it's a wonder I still read stuff like this but Shannon always has my ears pricked and my eyes glued to her life posts. Read this new post and I do believe I might be re-considering my earlier attitude towards it. Go Shannon! The beauty or frustration of building relationships is that they involve two types of ingredients: one which is in our power completely and one that is not. For example, the ingredient that is in our power is everything we can control: our thoughts, our behaviors, our willingness to take risks, to invest, to trust, etc. But the ingredient that is completely out of our control, much like Mother Nature, is what is unpredictable, hard to understand, but interestingly enough, simple to explain in hindsight. While we can be true to ourselves as well as be our best selves, we can never know if the people we encounter on any given day will be a breath of sunshine or a bolt of lightening. However, as social beings, we need some level of interaction (some of us need more than others depending upon whether we are more extroverted or introverted), but to live fully, we all need some social interaction and connection. One of the pillars of living a simply luxurious life, which I spoke about in the first episode of the podcast is establishing and fostering healthy relationships. Beginning with our friendships and most definitely our romantic relationships, as well as the relationships built at work and in our community, the necessity of having social connections that are built on trust, kindness, loyalty and a sense of security and peace of mind are invaluable as we all go about our daily routines, pursue our goals, attempt risks and thoroughly enjoy life. 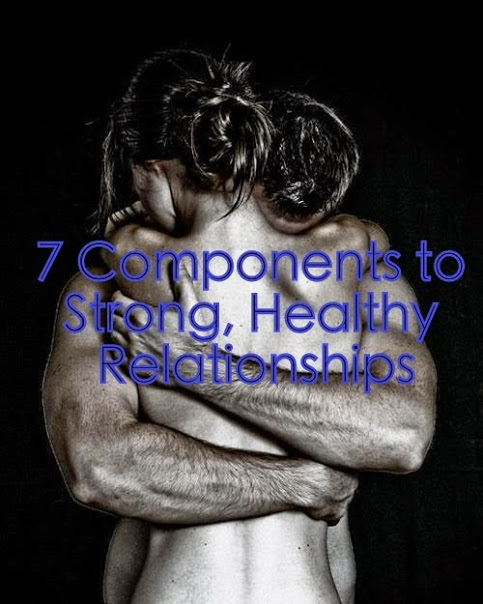 So today I wanted to dive specifically into the seven key components for building a strong, healthy relationship, primarily with our romantic partner, but honestly, each of the components will only help to build relationships in every arena of our life. In 2011, I wrote about the difference between self-worth and self-esteem (10 Ways to Strengthen Self-Worth), and to quickly recap, self-worth is something we are all born with; self-esteem is not. Since self-esteem is not given to us, we must choose to take on the task of building our own self-esteem. But what exactly is self-esteem? Self-esteem is something no one else can give us, but once we give it to ourselves, no one can take it away. You may be wondering, why is self-esteem such a crucial building block in cultivating strong relationships? Well, without it the relationship wanders into co-dependency, jealousy erupts and no longer are we better with or for the person we are in the relationship with. No longer are we able to be supportive, loving and helping to be an extraordinary combination, but rather we are hindering each other’s ability to be our best selves. Now, there is a conscious balance that must be struck when we choose to be selfless. Selfless does not mean disappearing so our partner can shine; it does not mean our dreams, needs and desires no longer matter, but what it does mean is that when we give of ourselves, our time, and our heart, we aren’t doing it to get something in return. For example, when we decide to give our partner a gift (material or experiential), it is something they will love, use or have dreamt about even if we don’t understand why or are able to enjoy it with them. Being selfless is giving without expecting anything in return except to make their day brighter, better and more enjoyable. With friends, partners, neighbors, colleagues – anyone who is not us – we can almost expect they are likely to have their own pace at which they go through life: how long it takes them to open up, trust, etc. And this pacing, for each person, will change as they move through life and have more experiences. Simply because a previous relationship reached the “I Love You” stage at month six, yet ended at month eight, doesn’t mean your next relationship will follow lock in step to its predecessor. And when we allow the relationship to unfold naturally, taking note of opportunities when they arise without being forced or manipulated, that is when we know the speed we’re traveling is just right. Part of knowing that the proper speed is being observant, listening and communicating clearly. When we do these three things, so many obstacles and questions are removed. Whether moments with your partner are unexpected or planned, ordinary or monumental, simple or grand, revel in them. Be present. Put down your cell phone, stop checking your email and lose track of time. Moments that help cultivate a sincere relationship require our full attention. And by giving our full attention, we’re letting that person know they matter. I have to be honest, this one is very tough for me, and most likely for many of you listening (reading) as well. As someone who has been hurt in the past, we carry those memories as a means to protect ourselves in the future. But while this knowledge and lack of ignorance is valuable to a point, it can also be the wall we put in the way of finding and establishing sincere relationships and connections with others. While we should by no means be opening up to everyone we meet, what we can do is observe those we are getting to know, wade slowly, testing the waters as we go and see how they respond to the drops of our true selves we put out there. Because as Brené Brown reminds us in Daring Greatly, the only way to truly connect with others is to show them who we are – gradually, but with guarded blind faith. In a recent blog post by Marc & Angel Hack Life, they share specific ways one can eliminate jealousy from their relationship. Two of the suggestions were to stop comparing ourselves to others as well as stop letting our imaginations run wild (negatively speaking). Due to all of the Hollywood love stories projected in the theaters, reality television shows and even books we read, we forget that each of these entities is produced, scripted and have a purpose to keep viewers interested in tuning in. We must remind ourselves that in the real world there are no time lapses bypassing the everyday routines. And by keeping our imagination in check, we must stop assuming the worst simply because our partner is running late or forgets to pick up something on their way home that they were asked to remember. The real world is full of many mundane moments, but if we realize this, the extraordinary moments happen much more often and we are far better situated to enjoy them. 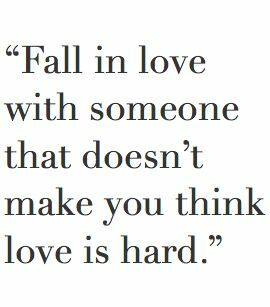 Secondly, with regards to not being limited by precedents, simply because the love story of your parents, grandparents or best friend took a certain path, doesn’t mean your love story, while looking different and unique in its design, can’t reach the same heights. No love story looks the same, so be sure not to limit or put rigid expectations that could strangle a beautiful relationship from blooming. Once you heed the two principles in #6, allow yourself to submit and enjoy love when it arrives, but then realize it is a choice to continue to give yourself to it each and every day. The good news is that if you are aware of this formulate, it will be the most rewarding work of your life. I was recently listening to an interview on NPR of a man who was asked what he felt was the key to his life-long romance with his wife of more than a few decades. And while he began by saying real love must exist, he continued to define real love as, at its core, being all about kindness. Kindness above all else. Being thoughtful, being gentle with your words, not using any means (direct or passive) to punish – these are all examples of everyday kindness. Kindness comes in how we communicate, even when it’s tough to do so. Kindness comes in simple gestures throughout the day to help, to acknowledge or to express adoration. Kindness is being selfless and paying attention to the lives of those we care about. Helping them reach their dreams, helping them to have a better day. Sometimes it means being truthful and giving honest feedback when it may not be easy to hear. But it is how we do it in such times that can communicate the love we feel. Without question, relationships aren’t always going to be easy as there is no definite road map for each one we enter in to. Each takes its own course which may be frustrating initially, but when we understand that two unique individuals are coming together, it only makes sense. And that is when a sort of magical adventure can begin. When we choose to take those risks of begin vulnerable, trusting others, we eventually find life to be tremendously sweeter even if from time to time we bite into a bad apple. However, it has been my experience that those bad apples have given me invaluable wisdom as to how to go about it better the next time.